Ok, I might be a day late and a dollar short but I have a reason. Yesterday, I spent the day remembering. 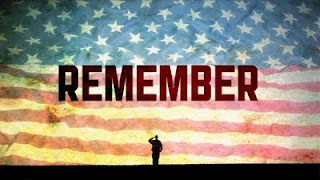 Honoring those that lost their lives, fought to save others and truly suffered in the devastation of September 11, 2001. As cheesy as that sounds.... It's true. And I was a wreck. I've been an emotional basket case since probably September 1st over the whole ordeal, but yesterday I felt like I could finish the mourning process and move on. So I saved writing about it today. And for a specific reason. The stories on the radio were killing me. Every time I would get into the car I would start crying, just listening to how traumatic that morning was for everybody. What happened to the Trade Towers effected every single American. Even if we were in a different city, even if we were across the country, even if we couldn't see the smoke first hand or breathe the ash and dust in to our lungs, we were all there. We all felt the events of that day deeply, to our core, and were changed. The kids spent the night at the in-laws Saturday night, so yesterday morning, I had to drive to pick them up. It was a beautiful morning. Clear, sunny, cool. And on the radio were those heart-wrenching stories of individuals grounded at the airport, not upset that their flight was canceled or delayed but thankful they were alive. And not on one of the planes that had been turned into deadly weapons. Or loved ones who watched helplessly here while their relatives, their family, their sons and daughters or mothers and fathers could have been a victim that day. Or were a victim that day. And then I drove through downtown Bennington, a tiny, itty-bitty, little community just North of Omaha and past a Memorial Service. In Bennington the speed limit is 25. Which is normally, almost impossible for me to keep. It's insanity, really. But yesterday as I drove through town I doubt I was even driving that, while I took in the sight of a hundred or so people, sitting together in neat rows, listening intently to the service men and women at the front of the service, holding an American flag and reading from the Bible. And then last night, watching the 9/11 tributes I couldn't help but be taken back to that morning, while others remembered, so did I. My parent's generation is often asked, "Where were you when Kennedy was shot?" I will be asked, "Where were you when the planes hit the World Trade Towers?" And I will answer, I was at school. History Class. My history teacher is probably the smartest man I have ever met. Genius level intelligence and he was always completely caught up with current events. Instead of a lecture that day, which was our normal routine, Mr. Thompson silently wheeled in our old television set and turned it on. Then he sat back on his desk without saying a word. He just stared at the television. We were dumbfounded. Excited that apparently we were getting a TV day instead of regular class, but confused by Mr. Thompson's reaction. Joel Shroeder asked, "What is going on?" And Mr. Thompson mumbled, "A plane just hit the World Trade Center." We turned our attention to the TV and 20 students sat glued there for the next hour. Not long after the TV was turned on, the second plane hit. Zach was the first one to see it. And it took a while for the rest of us to catch on. "What just happened?" "Was that another plane?" could be heard all around the room. Like so many others, we had assumed the first plane was an accident. We had assumed that something had gone terribly wrong. An act of terror was the last thought. That somebody would purposely try to hurt so many people had not even become a possibility in our young minds. And the coverage of the event began to speculate. We were quiet again. Silenced by the events unfolding. Who? Why? What about all of those people? What will happen next? And then my dear friend, Bethany Creek, asked a question that will forever echo in my memories, will forever haunt the thoughts of that day, "Mr. Thompson, do you think those buildings will collapse?" He answered, "No, no. Those buildings are built to withstand that kind of impact." I accepted his answer. It didn't occur to me to ask the question, "What kind of building is built to withstand a huge airplane intentionally crashing into it?" And so I didn't ask. And the people inside of those buildings didn't ask. They followed protocol and stayed where they were. 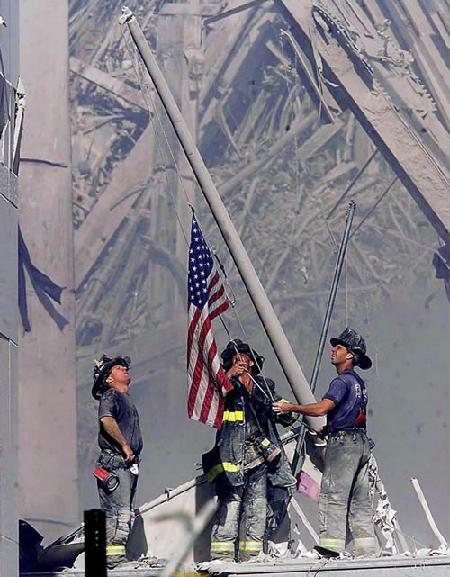 When the towers fell, it seemed impossible. To my seventeen year old brain, I couldn't even understand what had just happened. I stared at the screen, mesmerized by events that had yet to mean anything to me. Slowly, and reluctantly, I let reality sink in and realized I had just watched thousands and thousands of people die. I had had insight into their destruction, the possibility had been talked about and as I sat safely in my classroom, far from the wreckage, I watched as other people fell victim. As fathers and mothers left their children orphaned, as sons and daughters left this earth before their parents, as brothers and sisters, friends and co-workers perished in the name of a terrible terrorism, I watched it happen. I think that has been harder for me to cope with now that I'm an adult. Now that I'm a mother. Now that I've lost a parent. The rest of that day was spent moving from classroom to classroom watching more of the footage. I didn't open a school book the entire day. During band, my mom kept the lights low, only a few on, so that we were not only watching more coverage but sat in dimmed mourning trying to understand. That day America was the victim of terrorism. And it wasn't just our Armed Forces fighting back, it was the every day heroes that we already held in high esteem. Our police officers. And our firefighters. 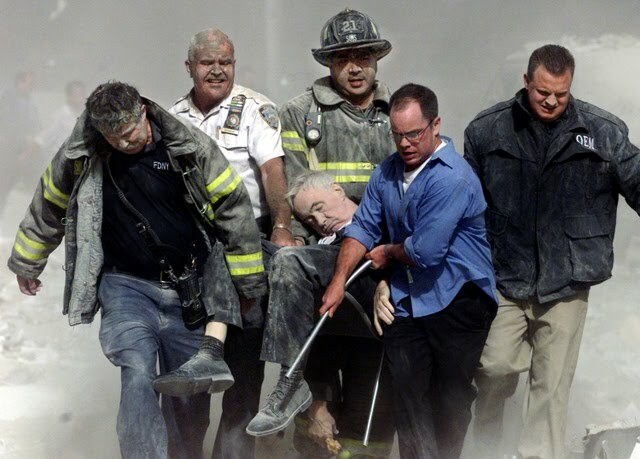 That day, FDNY was more than just units putting out fires, was more than saving people from burning buildings, they were the army that fought against terror. With every life they saved and every life they lost they were the mobilized units sent into to fight back. And today, they are more than childhood dreams and imposing figures that make you stand up straighter and feel secure in event of a fire, they are American Heroes. They are Veterans of War. 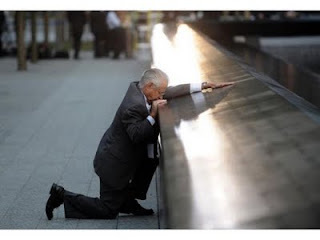 As a teenager, I remember hearing about the plane that over took the terrorists and swelling with pride. I still can't help breathing in deeply and thanking God for the spirit He gave those people. They were Americans. Fighting for freedom. I picture them not even second guessing themselves. Not even hoping for a different outcome. They knew the cost of their actions. They understand the price that would be paid. And still they stepped bravely forward, saying goodbye to their loved ones in hushed tones and secret phone calls and then courageously fightingt back against the forces of evil. That is what we do. We fight for our rights. We fight for our liberty. Even at the cost of death, we are Americans and that is what we do. And then the Pentagon was hit. And I swear I thought it was the end of the world. That song, it's called, "The Day the World Stopped Spinning." And that is exactly what it felt like. How could they attack the Pentagon? How could we suffer that much? The sun set on September 11th and it felt like the world had stopped spinning. It felt like it was the end of everything. But on September 12th, the sun rose again and America awakened a different nation. A nation that remembered our Patriotism, that hung our flags high, that stood together in brotherhood and believed we would come out of that tragedy stronger and more vigilant than before. And Ground Zero has been turned into a Memorial so that we can remember that day. And our enemies have felt our vengeance. And we will always remember what it felt like that day to be a victim, but we will not play the victim. 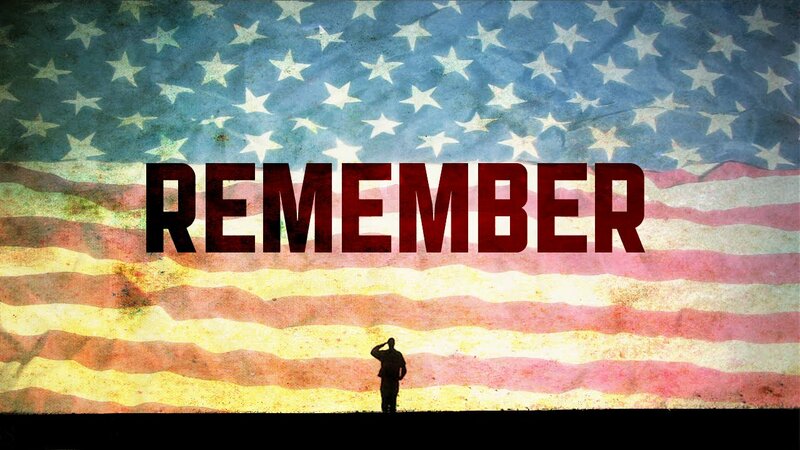 Today, on September 12th, we will remember again. And we will rise again. We will continue to fight for freedom. And peace. And liberty and justice for all. You know it's interesting I never thought to ask Mr. Thompson about that day... I probably should have, he probably would have had some great insights. Your post almost brought tears to my eyes. It will always be such a strong emotional day for me. I don't know if it is because my now husband was suppose to have been in the pentagon that day and I didn't know he wasn't until HOURS later. Or if it was because my brother was suppose to have been living down the street from the WTC but things fell through and it didn't happen. All I know is that it took me WEEKS before I could watch TV without crying. But it didn't stop me from watching. I guess I always felt all those lives, all those left behind, they deserved my tears.